Cell phone bill shock can happen to almost anyone and it really depends on the terms of your agreement and also understanding how your applications on your smart phone work. One example of this kind of thing was when a customer had unlimited text messaging for his phone and a limit on the data that his phone could send and receive each month. 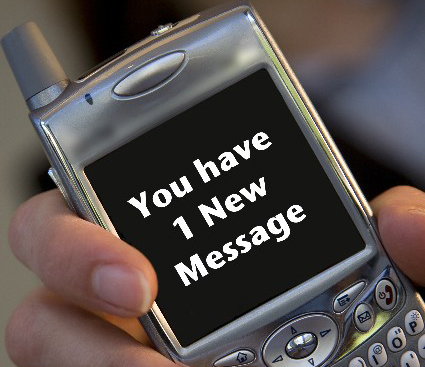 In an effort to reduce text messages, they used a free texting service out of the US. Which actually is an application that used the data part of the plan to send and receive information. In addition the data plan is used every time an application must be updated with a new release. In short this user’s data plan was far exceeded and they received this huge bill from their carrier. Understand the Application – many app’s use your data plan to update, to send messages and to interact with other cell phone users. While you may be reducing one type of traffic i.e. text messaging which is billed separately, you are actually using more data which eats up your allowance for data every month. Understanding how your app works and updates is important to control you monthly billing. Before you download the app, take the time to understand how it works and how much data it uses and how often it will update itself. If your phone is being used by your teen, some ground rules need to be established about downloading so called free app’s. They may be free, but really place a burden on the amount of data that is downloaded or sent by your phone. Monitor your usage every week. If you are getting close to your limits for data usage, text messaging or long distance take appropriate steps now. Control your usage, increase your plan or recognize that your bill is going to be higher this month. Use WIFI – this is a great way to reduce data usage. Force your phone to use Wi-Fi whenever a Wi-Fi network is available. This includes your home, many coffee shops and even many restaurants. All you need to do is program your phone to use Wi-Fi first before using the network data plan that you have. In some cases you will need to sign up as a user and receive email advertising, but it is definitely worth it. Most phones will also remember the network and passwords and will connect automatically to the WI-FI network when it is available. This is a great way to limit your plan data usage. Sometimes it works when you complain to your carrier. It costs nothing but your time to lodge a complaint. They might not write the entire bill off, however if the write off some of the bill, you are ahead. This approach usually only works one time. The carrier will give you that one chance where you can claim that you did not realize that activity on your phone was going to cause a high monthly charge. After that they expect that you now understand when high data usage is triggered. They expect that you will take the necessary steps to control it. Also consumers may decide to change their plans to accommodate higher data usage, text messaging or long distance. Consumers need to manage and monitor all of their services regardless of what they are and cell phone usage is no different. Manage cell phone local air time, text messaging, long distance and data usage to prevent significant surprises of large bills from your carrier. This includes your children’s phones as well, particularly when they first get their phones. For more posts about dealing with mobile contracts, click here. Wireless phone contracts are being used to tie down consumers as more and more people are starting to use wireless phones. Negotiating your Wireless Phone Contract is so important since you can literally save hundreds of dollars if not thousands depending on your usage. They are just plain convenient and consumers love to get their calls instantly, rather than miss a call when they are out. Having just negotiated my own wireless phone contract recently I wanted to pass along some of the factors that I believed helped me get a good deal. The first rule of negotiating any contract, but even more importantly a wireless phone contract. You have only one chance to get a great deal. Once you agree and sign on the dotted line, your done. There is no adding something that you might have forgotten or would have liked. Be prepared and have all of your needs identified so that you can tick them off as you discuss each item. I will talk a little about how I missed something, although I still feel that I received a great deal. For US readers, the concepts still apply, however the prices may seem high to you due to our lack of competition in Canada. However the concepts still apply especially since you have a lot of competition for wireless services in the US. Even so we noticed that Verizon and other carriers are moving from unlimited data to limited data. They want to control the amount of data that is being transmitted on their network. Knowing what you want to have with your contract is the first start. Local minutes, text, long distance, voice mail, call display, data plans, style of phone and how much you want to pay are the basics for your list. A good start is to look at your current contract and either add to your list or take away the features that you want to change. Review what you are currently paying for the services that you have. Check with other carriers for the same basket of services and features. This will give you a base to work from when you are negotiating with your current carrier. There is nothing better than to be able to explain that you have an offer for a better deal from another carrier that is “REAL”. Is anyone else out there tired of the mobility companies and their contracts? I am so sick and tired of being bribed into taking a long term contract. Just so that I can get a wireless phone or wireless smart phone for a reasonable price. I am ready to just buy my own phone to forgo a contract with a carrier. Once again, I have just gone through the same process that I did two years ago to line up a new phone. The wireless companies price the phones or smart phones at a low price to attract you in the first place. Then they tell you, that you can only have the phone at that price if you are willing to sign up for a cell phone contract or at least two years! This is the way they get you, because you have become emotionally attached to a new phone. Or the deal they are offering you is too good to pass up. That’s what just happened to me. They offered me a much better deal than what I currently was receiving and a new phone as well which was what they were calling a smart phone light! The only way I was going to get the deal and the phone was to sign a cell phone contract for 3 years. Or pay a lot of money for service and for the phone I got for free! If you decide to change your contract or change your services during your contract period, most wireless companies will allow you to do this any time during the contract with out too much problem. Some will even allow you to decrease the number of services that you are using and lower your monthly bill. Of course if you want to add more services to your plan, they will be more than willing to handle this for you as well. What they will not do is allow you to cancel your cell phone contract without a major penalty and this is were it gets costly. They will want you to pay the rest of the contract out. Also pay for the discounted amount of the phone as well. In other words they are making it so expensive to get out of the contract that you will stick with them for the life of the contract. Most cell phone companies will allow you to change and or upgrade your device during the life of your contract. Many will even provide you with a free upgrade during this period as well, especially if you are a heavy user. But beware, these upgrades come at a price. If you take a new phone, free of charge or at a nominal price you will be tied into a contract extension once again. So if you are planning to change carriers or make other major changes, be satisfied with your current plan and let your cell phone contract run out. The only true independence you can have from a cell phone carrier is to not have a cell phone contract. This is typically known as prepaid cell phone service. More and more customers are going this route so that they have the flexibility of changing carriers and cell phones whenever they feel like it. Sure it costs a bit more, but that is fine with them. They have freedom to use as much or as little of their service as they wish from month to month. There is a limit on the type and kind of phones that you can usually use on prepaid contracts, so you also have to be satisfied with the selections that are available if you take this approach. For example the HTC Wildfire S is not available as part of a prepaid package as far as we are aware. If you are as bummed about cell phone contracts as I am, why not leave us your comments about your experience. Spam comments are auto deleted. For more suggestions on Mobile contracts, click here. Updating your mobile contract takes time and I just spent over an hour with my mobile provider talking to them about what plan I should subscribe to since my contract is up for renewal. I had vowed that I would never sign another contract for one year or longer ever again. The rates and the level of service I was getting from my mobility provider just were not measuring up to what I was looking for. In fact I was going to go with a pay per use service, with no contract and freedom to stop the plan or go to another provider without having to break any contracts. When I compared my usage for the past year to prepaid rates, I was actually going to save money compared to what I am currently paying so why would I not go this route. Well it depends on who you talk to when it comes to negotiating rates and terms at mobile companies. I purchase my cellular service in Canada, so our rates are much more expensive compared to the US, however the concepts that I used during my conversation with my provider, Bell would apply equally to any of the US carriers or even other Canadian mobility providers. And don’t forget this includes the device that you are planning to use as well as the plan that you may sign up for including voice, text messaging, and data plans. Many people focus in on one or two things, so step back and think about all of the things you are looking for and then contact the company to discuss your needs. What are your choices when Updating Your Mobile Contract? They all have stores in many of the major malls and centers across the country. You can look at the phones and the standard packages and make a decision regarding what you want. If you are a new customer or are moving from another carrier, this is the place to start. You do not have a lot of negotiating power here other than to compare deals offered by the various carriers. The deals are what they are and it is up to you to decide which package you want to select. This is the next step especially for people who have existing contracts or have been with the carrier for some time. When you call into the call center, you will be talking with a rep who has the authority to sell you the basics, in much the same way as the folks at the mobility store do. They may be able to offer you some discounts, however you will need to ask about them regarding what is available. The mobility rep may not tell you about these discounts without prompting. And the best part is that this deal, while providing me with about the same service as previously is 37% cheaper than previously, a huge savings! The worst they can say is no, or offer something else which might interest you! If you have had a similar experience, leave your comments. We all need help in keeping our costs down! For more suggestions on Mobile contracts, click here.